Welcome to Criminal Thoughts, where, every week, Vic Linde and I profile an episode of Criminal Minds. And by profile we mean talk about worked and what didn’t. As ever, Vic is in italics and I’m not. And we are ready to present the profile. 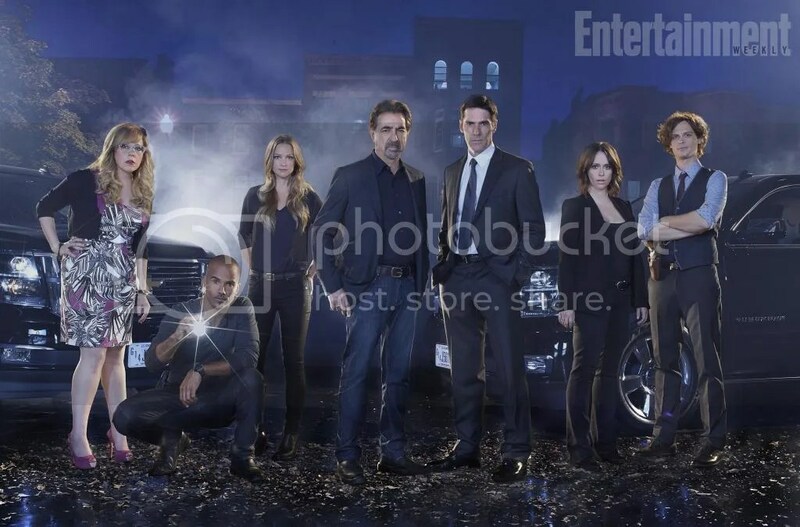 And so we get to episode 12, and a story co written by Joe Mantegna. That puts a lot of issues very close to him front and centre, as well as Rossi himself. Message episodes can always be difficult and I’m curious how you found this one. In a word – clunky. It felt heavy handed in a lot of the places. The actress playing Rossi’s daughter is outstanding but somewhere between the camera moves and the clunky bits of emotion I was left cold. The usual delicacy of the story (especially concerning our team) was nowhere in sight. Everything from the bonding between Rossi and Morgan at the beginning to the once-a-Marine-always-a-Marine funeral at the end was just too much. It felt like they had forgotten that they have a smart audience and were having to hammer their point home. It missed a lot of the marks for me this time around. I think you’re right. There’s an admirable concept in there, and I love that Mantegna, a veteran himself, wants to help a community that gets overlooked too often. The issue here, I think, was more that it felt like a format breaker and not in a good way. If we’d had an entire episode of Rossi dealing with the death of his friend, or, an entire episode of the unsub that would have worked better. Plus, the thematic similarities between the two felt more than a bit forced. It felt like we didn’t get enough of anything. Not enough of the team, nor of the veteran issues and not of the un-sub either. It was one of the rare episodes where it felt like we could have skipped over it and gone on to the next without missing anything – which is a bad thing when it was so focused on one of the team. Even the unsub plot seemed dull, there didn’t seem enough threat or malice or even real intent to drive the story on. I liked that he was a fundamentally good guy doing a thing he knew was bad. I also liked that he was rescuing his own victims. That was nicely handled. But I agree, without the Rossi plot we’d have more room for the psychological trajectory they hinted at. That the anger was destroying him and he was about to go outside the rules he’d set for himself. Likewise, without the unsub plot we could have had a more rounded discussion of veteran’s issues. Yes, they set a lot up and it was just left hanging. Also, I didn’t feel the good-guy thing as much as we usually do in the episodes when we get a sympathetic un-sub. And as for Hotch meeting them at the plane – do we think he might have had a breakfast date with the lady from the jazz club? I am choosing to believe that, yes:) In fact that leads into the thing this episode did very well, which was some of the smaller character notes. Hotch meeting them at the plane is so odd I can only assume that’s deliberate and the most obvious reason is as you say, breakfast date. Also, while it was a bit forced like you say I did quite like the Morgan/Rossi opening. But, as is almost always the case, the best moments in the episode belong to Penelope Garcia. Only she could give a briefing on a horrific series of killings in a cat ear headband. The light of our lives! Miss G. Yes, even when the episode is less than great she is always outstanding. Strangely the more I think about this one the less I like it. It seemed to sail along barely making any impact. I think this is perhaps the weakness of not having a long arc for the series, we get some episodes that don’t feel important. I agree, it felt like it didn’t register on most levels, which is a real shame. I think you’re right too; without an arc we get some episodes that just run in place as this one did. Also, the deeply weird sort-of twist ending with the unsub just seemed awkward. Absolutely – the very obvious ending seemed to underline for me that this episode underestimated its audience. I felt like they were handholding me to a very obvious conclusion. Fingers crossed we can pick up again next week! Thanks ever to SSA Linde for her invaluable insight and to you for reading. We’ll see you next time on Criminal Thoughts with episode 13, Nelson’s Sparrow.